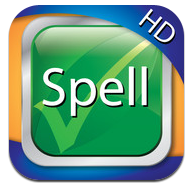 If you happen to have a young child just learning or is in need of support with their sight words, then Simplex Spelling HD is the way to go!!! Its name says it all, it’s very simplex. Applicable2U has explored a number of spelling applications, and this is the best one yet. This educational app comes complete with 220+ sight words. It was recently updated earlier this week and is designed for a variety of Apple devices. As a parent, you might be asking yourself, “why does my child(ren) need to learn sight words?” For those just beginning to read, sight words are important to know since they are typically words that are difficult to sound out or to illustrate. Academically, there are several important reasons. First, they act as confidence builders. When reading orally with your son or daughter many of these sight words will appear on each page. According to research, “Dolch’s sight words make up 50 to 75% of the words in any children’s text and knowing these lists of high frequency words gives young readers a huge advantage when attempting to read new stories.” By recognizing these same words while reading it will free them up to approach more challenging words. In addition, sight words provide context clues to the meaning of a sentence. With a very clear and easy to follow design, parents, teachers and even students will be pleasantly surprised with the results. While experiencing this application, Applicable2U felt like we are a part of an interactive spelling bee. √ Provides the user(s) opportunities to listen and concentrate when the voice is speaking – incorporating headphones would be a plus! Overall, as you can see, Simplex Spelling HD has a number of positive components. Currently, it is selling in your iTunes library for $6.99. Some might say that it is a lot of money, but the academic results that you will see in your student or child will be amazing. Simplex Spelling uses a reverse phonics approach, but it is certainly not reverse in its thinking as it heads in the right direction of teaching our young population to spell towards the future of reading! If you would like to learn more about Pyxwise Software, Inc. please visit their website here. Whether you have a kindergartener or late elementary aged student(s) or child(ren), Simplex Spelling HD is applicable to you. Start your download today by clicking here.